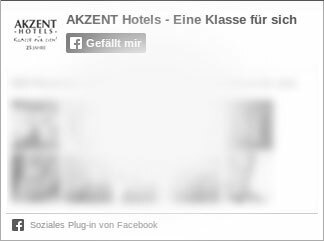 AKZENT Hotels - Class on its own! AKZENT Hotels - In a class of their own! The AKZENT Hotels promise you exceptional hospitality and an authentic, regional ambience. Enjoy the warm and personal atmosphere provided by your hosts and experience our hotels’ individuality and high quality of life firsthand. You can find AKZENT Hotels in the most beautiful vacation regions in Germany, as well as in many business hubs, and in the beautiful Salzburger Land in Austria. While each one of the privately run AKZENT Hotels is unique in its own way, all of the hotels share the same dedication to familial warmth; individual and sophisticated room furnishings; and great regional and international cuisine. This is why they are all “in a class of their own”! 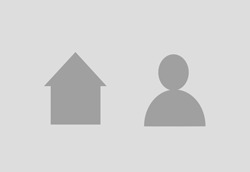 We guarantee that you will always receive the cheapest price directly from us! 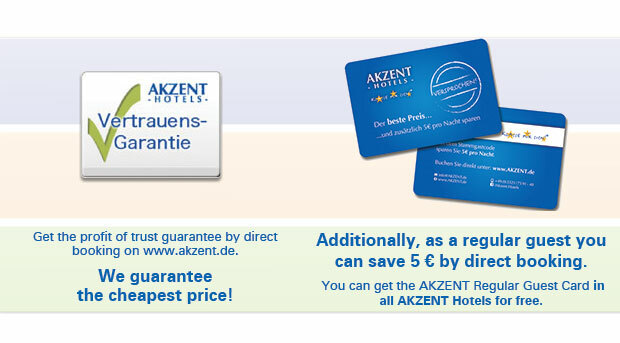 Simply book your hotel online at www.akzent.de or over the respective hotel’s individual website. This way, you can be sure you’re not paying too much.